Hey, y'all! I took an unplanned blogging break due to the simple fact that my life was crazy for a couple of weeks, but I'm back today with a project I'm in love with. 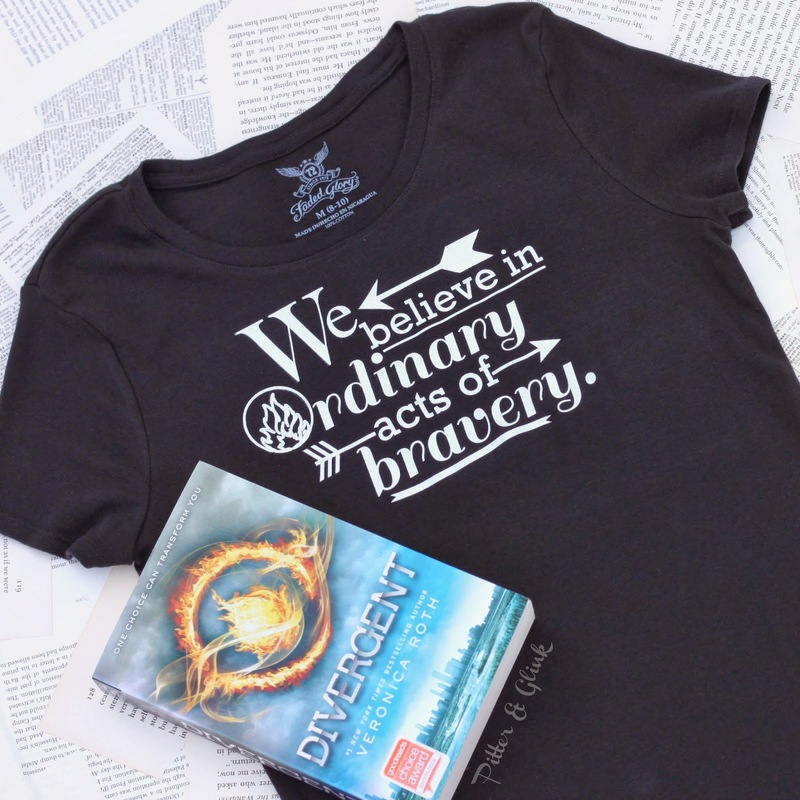 Do we have any Divergent fans in the house?! 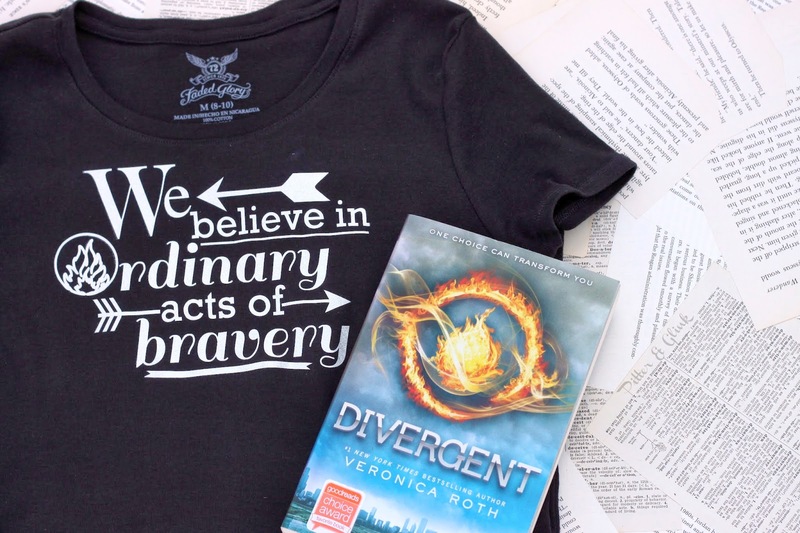 I recently read the first book of Veronica Roth's trilogy, and I am most definitely hooked. I literally read it in a day. No lie. 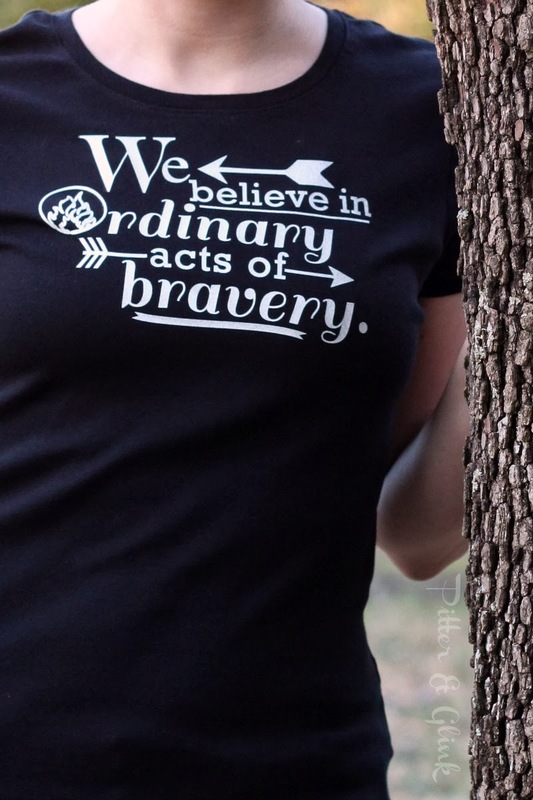 There was a quote from the book that I really loved: "We believe in ordinary acts of bravery, in the courage that drives one person to stand up for another." 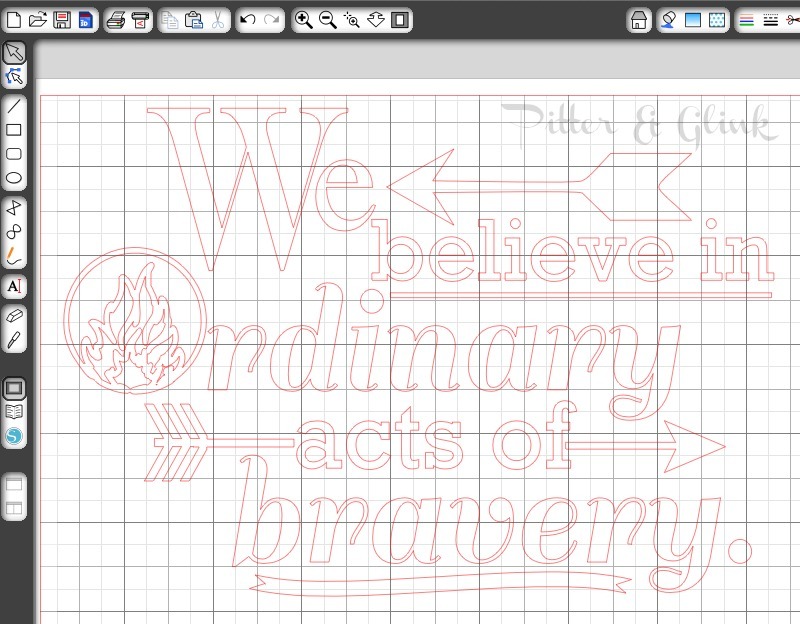 The quote comes from the Dauntless Manifesto. Don't you just love it? 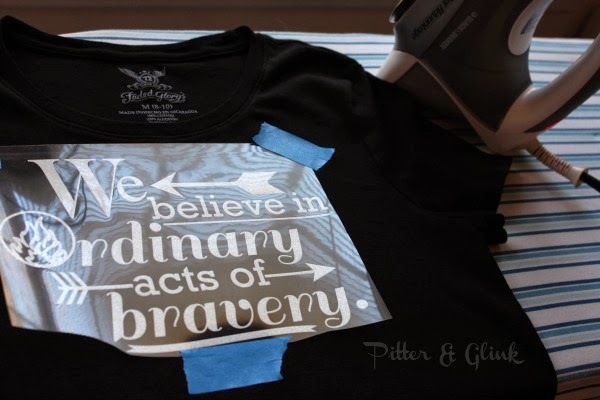 It inspired me to create a custom t-shirt that I can wear to the movie, which I cannot wait to see! 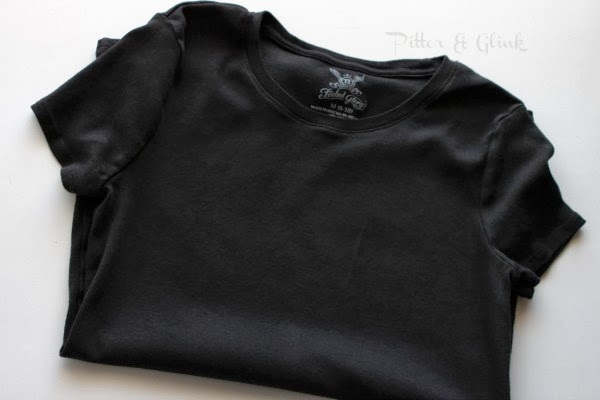 I started with an inexpensive t-shirt from Walmart. I used my Silhouette to design my graphic. I then ironed the design on the t-shirt following the directions on the vinyl packaging and a little advice from my friend Lil' Mrs. Tori. I love the way the shirt turned out! I can't wait to wear it to the movie! This looks amazing! You could sell them! I too, enjoyed that book and series. You are awesome Bethany!!!! Let's go to the movie together ;)!!! I loved these books and that quote! 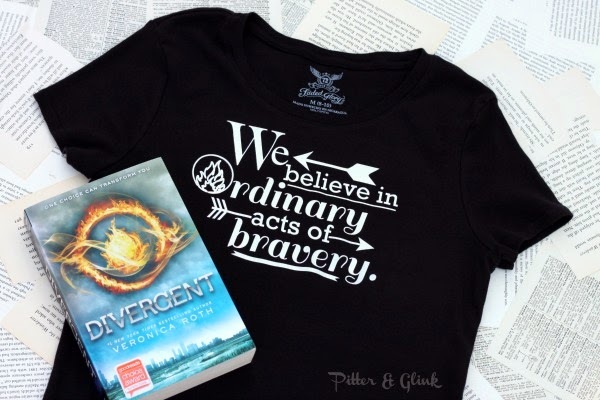 i love this book and shirt!!!!! daunless and candor all the way!!! Looks totally professional, I love the design you made! This looks great. Even without the movie, this would be a great quote shirt. Wish I had the patience for stuff like this, but I'd definitely buy it if I saw it in a store. Stopping by from Tip Me Tuesday. Love this! 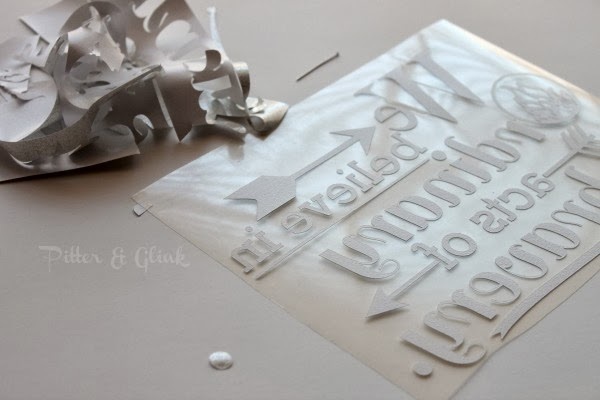 I have to try the glitter vinyl...off to order some! My daughter would love this! Any chance you are willing to share or sell that Silhouette file? I could probably find an image to trace, but I don't have the designing skills like you do to create the rest! I love this quote without having read the book, or knowing where it came from. But now I'd love to read the book. Great job on the cute tee!